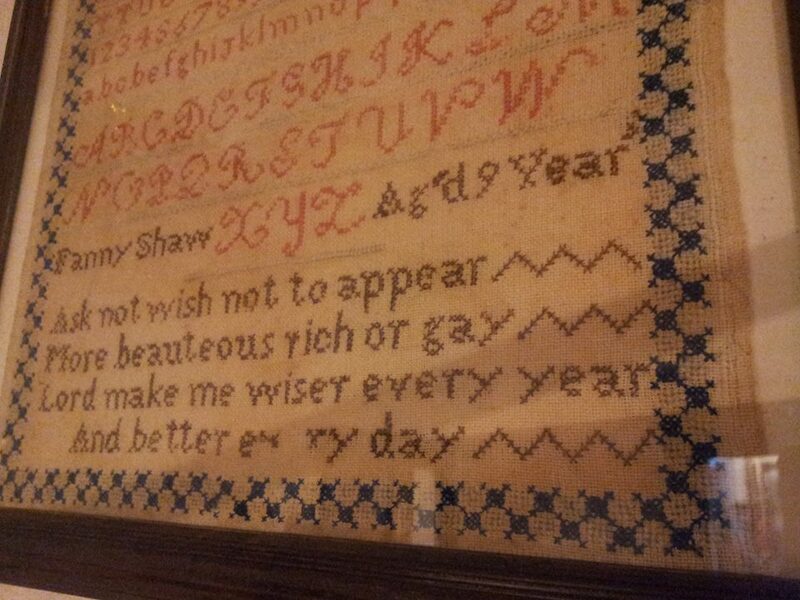 Made by ‘Fanny May Aged 9 Years’, probably in the 1800s, and on display in our Farmhouse Gallery. European samplers were first fashionable in the 16th and 17th centuries. Early examples are rare as only a few pre-printed patterns were initially available for avid needle workers. These evolved into more individual cross stitched designs and became increasingly popular up until the 20th Century. Even today there are loyal cross stitch communities active all over the world.